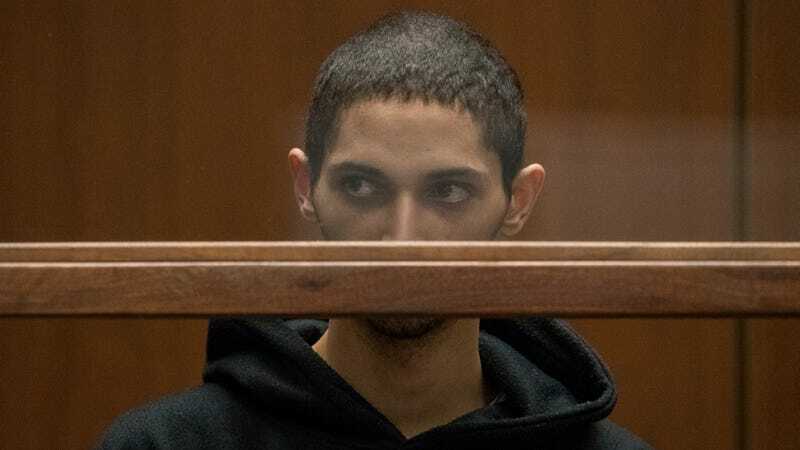 Tyler Barriss, the California man authorities say was behind a wave of “swatting” incidents, has pleaded guilty to a total of 51 federal charges and will receive a minimum of 20 years in prison if his plea deal is approved by the judge in the case, the AP reported on Tuesday. Swatting is a crime in which a party maliciously directs police to a location under the pretense that something very dangerous is occurring, usually in the hopes that responding law enforcement will arrive decked out like they’re about to roll into a warzone instead of an ambiguous situation. It’s become enough of a problem that the Seattle Police Department rolled out a program this year to help potential victims (who tend to be gamers, streamers, famous people, or others who attract the attention of online trolls) report their names and addresses to give responding officers a heads up. Tuesday’s plea hearing resolves cases filed against Barriss in three federal jurisdictions: Kansas, California and Washington D.C. He still faces charges tied to Finch’s death in state court, including involuntary manslaughter. That trial is scheduled for January. He pleaded guilty to three of 12 charges brought in Kansas involving the Dec. 28, 2017, swatting call that led to Finch’s death — false information and hoaxes, cyber stalking and conspiracy. The other nine were dropped as part of his plea deal. The two D.C. charges he admitted to — both classified as threatening to kill another or damage property by fire — were for bomb threats against the Federal Communication Commission’s and the FBI’s headquarters on Dec. 14 and Dec. 22, 2017. The Eagle added that 46 other counts related to Barriss’ time in California, “for other swattings he committed while he was living in Los Angeles County... and for using people’s credit and debit cards to buy things without permission.” If the judge in the case rejects the plea deal, Barriss will be free to retract his admissions of guilt and ask for a trial. The separate charge of manslaughter could see Barriss land an additional 11 years in prison, according to the Los Angeles Times. The two Call of Duty players allegedly involved, Casey Viner and Shane Gaskill, are also facing a long list of charges. The officer who shot Finch was identified in media reports as Wichita Police Department Officer Justin Rapp. Prosecutors declined to press charges against Rapp, though the department is facing a civil law lawsuit alleging wrongful death, and billboards appeared earlier this year in the Wichita metro area calling for a criminal charges.